Would you like to enroll your child in a school that provides a quality Christ-centered education? 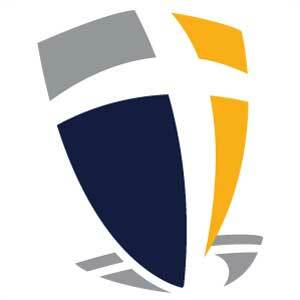 Schedule a tour of Fox Valley Christian Academy by calling the school office at (920) 725-7985. Submit the application form and required documents, review the statement of faith, and submit the registration fee. Schedule student readiness test (K-1) or standardized entrance assessment (2-8). Review your student's test results with the school administrator. Receive notification of the student's admission status. All incoming students in grades K-8 are admitted on a 9-week probationary status. FVCA welcomes the opportunity to meet with and show prospective families our facilities. The registration fee (minus the testing charge) is refundable only if a class position does not open. Families who desire to apply for financial aid will need to complete an application and submit the necessary supporting documentation to FACTS Grant & Aid Assessment. Applicants can apply online at http://online.factsmgt.com/aid and will be notified by email when the application is completed. Families should use the 54956 zip code on the application. Once the application is processed, the FVCA sponsorship committee will make a determination of the amount of the financial aid and inform parents within a week of submitting the application. The sponsorship application may be made at any time, although it is preferred by May 1st in order to allow the Finance Committee adequate time to allocate funds for the following year.